The boom of the e-commerce market in India has been so high that almost everyone buying products online are accustomed to the concept of payment gateway. An e-commerce payment gateway provides a secure platform to carry out the transaction process between the customer and the e-commerce website. You can either carry out the payment through your credit card, debit card or any other third party app. The payment gateway is the crux of an online portal as most payment transactions happen online over a delivery mode like COD. Without a secure gateway, online websites cannot sell their goods or services, while customers cannot buy products without proceeding to a payment gateway. The basic difference between buying a product from a local shop and buying online is a sense of trust. The chances of getting defraud while buying from a shop are minimal to zero, as compared to buying online. The common fears that are prevalent among customers are paying for a product online and never receiving it and risking our credit card/debit card details to a third party app. Thankfully, the major players in the e-commerce business spend huge sums to maintain a robust framework so that we securely make transactions to buy products. Let’s take a look at the security measures undertaken by these websites. Data encryption is one of the most important security measures in the payment gateway. How does it work? When you enter your details in the payment gateway, it gets encrypted by using payment gateway public key and can only be decrypted by the payment gateway’s private key. Sounds hard to grasp? Consider this example. When you are about to buy a product from an ‘X’ e-commerce’s app, and you click the credit card/debit card option, the app gives you ‘pay securely’ option, where you have ticked the box and as a result, the app saves the details so that the next you pay through the app, the process is sped up. This process is called encryption. The data can only be viewed by you and nobody else (unless somebody else views your phone). The data appears scrambled and illegible to anyone handling the server. This is known as decryption. It makes sure that your data is absolutely secured and even in case of a hack, your data appears illegible to the thieves in case they want to crack it. SSL is the standard security protocol used in online transactions which are practiced by all the major e-commerce websites. SSL establishes a link between a server and a browser. You enter the information on the browser and the information is taken by the server. SSL is also used for the authentication of the identity of the visiting customers and protects sensitive information like card details entered by customers. While all the major e-commerce websites use SSL, the same cannot be said of the portals outside the list. So, it is advisable to the customers to only make transactions from websites with an SSL certificate. You can identify it by checking out the prefix ‘https’ at the start of the link and also look out for padlock symbol at the top left corner, adjacent to ‘https’. Tokenization is a unique way of secure payment gateway, where the sensitive data like credit card/ debit card details are replaced with a string of illegible characters so that there is no risk associated with data breach. It secures the card’s data in the server and provides the customer with a unique token number that replaces the CC/DC details. Therefore, the next time the customer re-visits the website for a transaction, he can use the token number as a one-click payment. 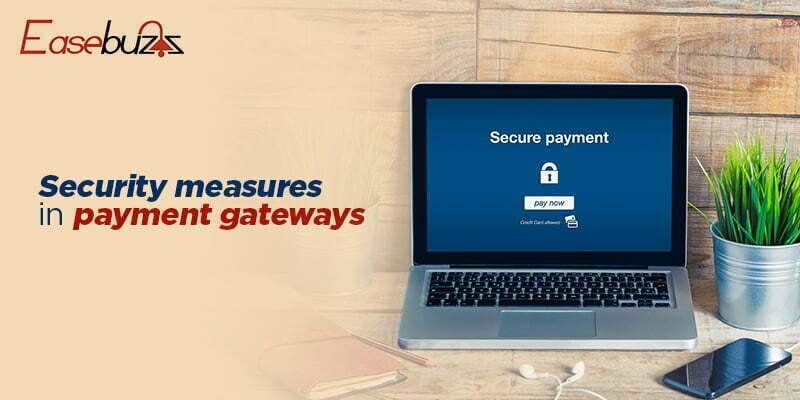 These are some of the security measures used in payment gateways. If you are looking for online payment solutions practicing these security features, check out Easebuzz. It’s an online payment gateway in India that aims to make payment simple for businesses.